I don’t often make space for any marketing copy, within the confines of a product review. It’s usually not necessary, or warranted. As far as I’m concerned, a review is for giving context of where a product exists within the drink world, and then offering an objective opinion on what it’s like to drink. But I can’t deny the truth of what Bulleit brand director Ed Bello says, when he talks about the impact of Bulleit Rye Whiskey. I cannot argue with any of that. The folks at Bulleit might overstate their own adventurousness in terms of ushering in a new era of high-rye content rye whiskeys—it’s not like they pioneered or discovered the 95 percent rye blend they source from MGP of Indiana, after all—but they absolutely do deserve credit for changing the game. Bulleit Rye, and all the other rye whiskeys that followed and either directly mimicked it or used the same MGP juice, did indeed reframe the American consumer’s understanding of what rye whiskey tastes like. For decades, it was a field dominated by Kentucky-style ryes, which often just barely qualified for the title at 51 percent rye in terms of makeup. But it didn’t take long for those near-bourbons to suddenly seem passé. Whiskeys with 90 percent or more rye established footholds extremely quickly, broadening the entire segment in the process, and Bulleit was the first example that many people tried. So yes, it makes perfect sense to expand that Bulleit Rye brand into an “ultra-premium” sphere, with a 12-year age statement. That’s about twice as old as the flagship, non-age-statement brand, which makes the fact that it comes in at a mere $50 MSRP really quite impressive. Suffice to say, there really isn’t that much well-aged rye available on the market in general, and comparably aged bottles certainly don’t retail for $50. So it’s safe to say that Bulleit 12 Year Rye potentially represents a serious value. It’s bottled at an ever-so-slightly higher proof of 46 percent ABV (92 proof). But what’s it like in the glass? Well, let’s find out. On the nose, this is certainly richer and more baking spice-forward than the standard Bulleit Rye profile. You still get some of the dill herbaceousness and some of the floral notes that are present in the regular Bulleit, but they’re challenged by an increased presence of brown sugar, red fruit, cocoa and baking spices—think cinnamon and cardamom. This all sounds very much up my own personal alley—I like this nose quite a bit. On the palate, however, it isn’t quite the whiskey I was expecting. Floral notes and especially oak come forward much more strongly than in the original Bulleit Rye, bringing a tannic, drying astringency with them. There’s richness here, present in a flash of brown sugar and molasses on each sip, but the sweetness is then tempered by a finish that is astringent and slightly bitter in nature. The additional notes are pleasant—peppercorn medley, grass, dill, mint and red fruit—but it seems to take a turn toward the astringent, right when things are heading in a promising direction. In the end, it makes Bulleit 12 Year Rye a little bit difficult to evaluate—there are aspects of it that I enjoy, but the finish hurts the overall presentation. Could this whiskey have ultimately been in the wood too long? Or will it perhaps improve over time with a little oxidation? It’s too early to say, as for the latter. Regardless, the $50 price tag still represents a surprisingly low price point for any 12-year-old rye whiskey, so you can probably afford to find out for yourself. 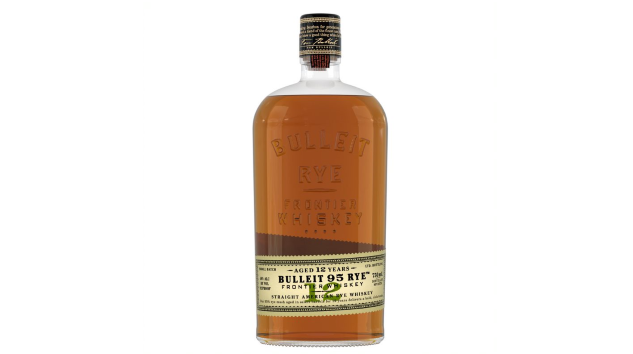 Bulleit Rye 12 Year Old is a limited release, being made available in Colorado, Illinois, New York, Ohio, Oregon, California, Kentucky, Texas, Georgia, New Jersey, Arizona, Massachusetts, Maryland and Washington D.C.